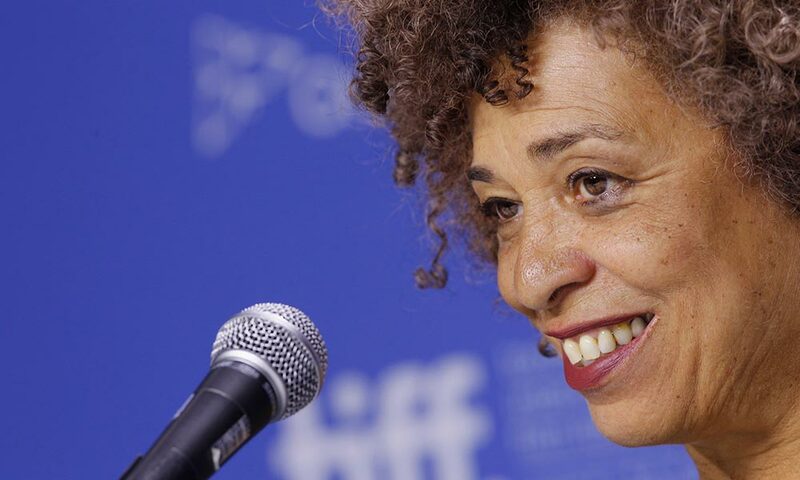 Scholar and political activist Angela Davis will pay a visit to the University of Rochester in March to speak on the role of universities in fostering engaged citizenship. Davis will speak Tuesday, March 5, at Strong Auditorium on the River Campus. The talk will begin at 6 p.m. and is free and open to the public. The talk, entitled “The University’s Role in Educating Students to be Engaged Citizens,” is part of the series Difficult Conversations as a Catalyst for Change, presented by Donald Hall, the University’s Robert L. and Mary Sproull Dean of the Faculty of Arts, Sciences & Engineering. Register online at rochester.edu/angeladavis. For large groups or more information, contact Event and Classroom Management at (585) 276-5757. Growing up in Birmingham, Alabama, in the Jim Crow era, Davis experienced discrimination daily, and witnessed its most violent form when four young black girls—two of them friends of her family—were killed in the 1963 church bombing. An activist from an early age, she formed an interracial study group in high school and volunteered with the Student Non-Violent Coordinating Committee, or SNCC. As a leader in social justice for several decades, Davis has worked as an educator, both at the university level and in the larger public sphere – where she emphasizes the importance of building communities of struggle for economic, racial, and gender justice. Davis’s teaching career has taken her to San Francisco State University, Mills College, and the University of California at Berkeley. She has also taught at UCLA, Vassar, the Claremont Colleges, and Stanford University. She has spent the last 15 years at the University of California, Santa Cruz, where she hold the title of Distinguished Professor Emerita of History of Consciousness and of Feminist Studies. Davis is the author of nine books and has lectured throughout the United States as well as in Europe, Africa, Asia, Australia, and South America. In the early 70s, Davis spent eighteen months in jail and on trial after she was placed on the FBI’s “Ten Most Wanted List.” She was acquitted in 1972. John Lennon and Yoko Ono wrote and released a song “Angela,” to show their support, and the song “Sweet Black Angel,” recorded by the Rolling Stones in 1970 for their Exile on Main Street, was dedicated to Davis. Recently Davis has been concerned with the social problems associated with incarceration and what she considers the generalized criminalization of communities that are most affected by poverty and racial discrimination. She is a founding member of Critical Resistance, a national organization dedicated to the dismantling of the prison industrial complex, and is also affiliated with Sisters Inside, an abolitionist organization based in Queensland, Australia, which works in solidarity with women in prison. Davis is the author, most recently, of Freedom is a Constant Struggle: Ferguson, Palestine, and the Foundations of a Movement (Haymarket Books, 2016).